Holography can be defined as the science of making holograms. Holograms are a graphic representation of a light field. Instead of an image formed by a camera lens, it is a photographic record of a subject, going through a light field, giving a fully three-dimensional image of the holographed subject; which is seen without the aid of special glasses (like 3D glasses), or other intermediary optics. To communicate via holograms is a wave of the future. Still a long way to go because we are limited by the technology available. For one, a holographic communication scenario will require massive infrastructure. The technology will necessitate a very high-tech, state-of-the-art, setup, with an array of 3D cameras positioned around the room, to record the subject from multiple angles. So, holographic communication is likely be quite restricted, at least initially. Holographic communication will have difficulty in practical applications. As was the case in the early days of video-conferencing, you’ll need to build a fixed setup and hope for perfect conditions. The technology is potentially enormous and remarkable. Holographic Communication, in its peak, will allow you to communicate in real-time with friends, family and colleagues; imagine you are in another city and call your mom, you press a button on your smartphone, and have your mom manifest herself in the form of a hologram, right in front of you. Besides animating regular phone conversations, it will also record all your conversations for future playback. Which, essentially, means that you can re-watch / re-experience those interactions in the future at a miniscule or full-scale level. Robert Downey Jr.’s character Tony Stark, can be seen fiddling around with life-sized holographs in his Iron Man movies, and while it looks cool, the technology is, obviously, super expensive. Tony Stark is a billionaire, not to mention fictitious. Not everyone possesses such an overwhelming amount of money, needed to fund a holographic communication project. 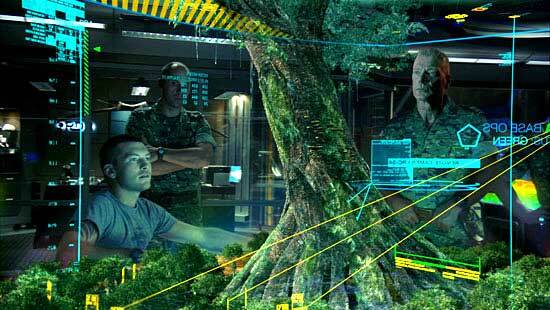 For decades, Science-Fiction movies have explored holographic communication situations. Communicating with a full-scale person, as if you were face-to-face, is the stuff high-budget sci-fi movies are made of. Video-Conferencing, Live-Streaming etc. have tried to imitate holographic communications, but they are 2D experiences at best. You would need an infrastructure on a far bigger scale to even comprehend a communication, where a full-scale person would just manifest, in the form of a hologram, talking to you, at the touch of a button.